Horses are a part of the Colorado landscape. As critical to most of us as water, air and food. That is why it is so important to keep them safe. This includes knowing what they are eating. The green plants in your pens and pasture or the dried plants in your hay, may not be as safe as you think. The following list of plants are some of the more toxic plants in Colorado’s pastures. This is not a complete list. Leafy spurge, field bindweed, yellow sweet clover and alsike clover can increase skin sensitivity to light, sunburns or cause colic. 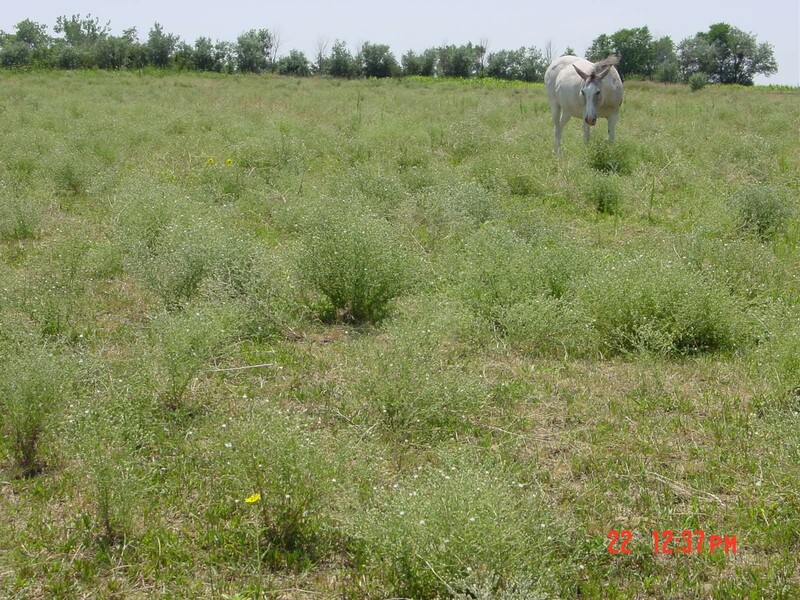 Horses will generally eat other vegetation than these plants if available. However, these plants are very aggressive and tend to overtake a pasture. Curly cup gumweed, penstemons, prince’s plume, saltbush, woody aster and some milkvetch species are selenium accumulators. When a horse consumes these plants, the selenium replaces the sulfur that is needed in keratin formation. Keratin is the primary protein in the hoof and hair. Extended ingestion can cause permanent damage and may cripple the horse for life. Senecio and houndstongue symptoms are similar. These include diarrhea, red urine, sensitivity to light, circling, and weight loss. There is no treatment for the liver disease. 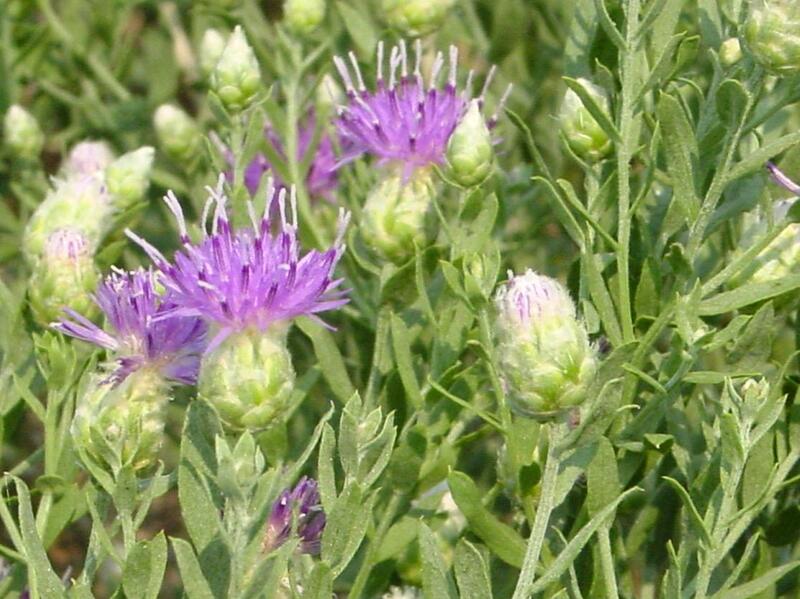 Russian knapweed and yellow starthistle symptoms include frozen facial muscles, excessive salivation, severe weight loss, inability to chew or drink, drooping look to the face and lips. There is no treatment for these poisonings and euthanasia is recommended. There are three species of locoweed: purple, white and wooly. The poisoning symptoms from these species include abortions, weight loss, depression, excessive sleeping, violent reactions to routine items. There is no treatment for locoweed. Sand and fringed sage have very similar poisoning indicators to the locoweeds with the addition of a sage smell to the breath and feces. Remove horses from the sage plants and feed a nutritious diet. The horses should be able to recover if given proper support as needed. It is imperative to manage pastures for good grass growth and competition against these dangerous plants. This may mean that the horses will need to be removed from the pasture for it to rest and recover. It may also be necessary to reseed the pasture for good grass growth. 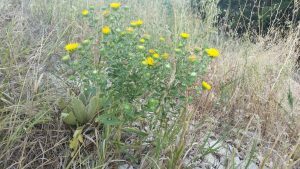 You may also need to implement a noxious weed management plan to evaluate the best options for addressing the weeds in your pasture. 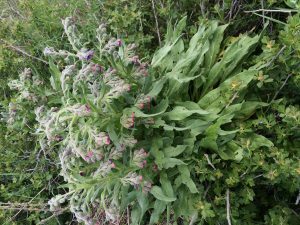 The first step is to identify the plants in your pasture. Once this step is completed, it is possible to make the choices that are needed to enhance the vegetation as well as protect your horse(s). 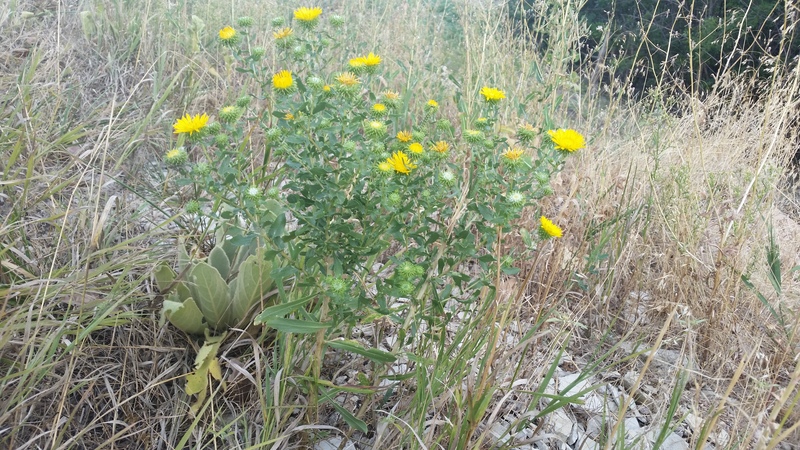 For more information and help in identifying the vegetation in your pasture go to www.weldweeds.org or call 970-400-3770 to schedule an appointment if you live in Weld County.